People from all over the world enthusiastically travel to the Bahamas in search of a vacation that they’re never going to forget. People who are interested in an educational vacation full of sightseeing will be able to get one. People who want to have a lot of fun in the sun are definitely in the right place for it. Individuals who want to be able to do a little bit of both in order to really maximize their enjoyment of the Bahamas can certainly plan their trip accordingly, allowing themselves to take advantage of the area’s rich history and biodiversity as well as its gorgeous scenery and natural beauty. 1. Snorkeling and base jumping: People who have always wanted to learn to snorkel can do so in the Bahamas for the first time. 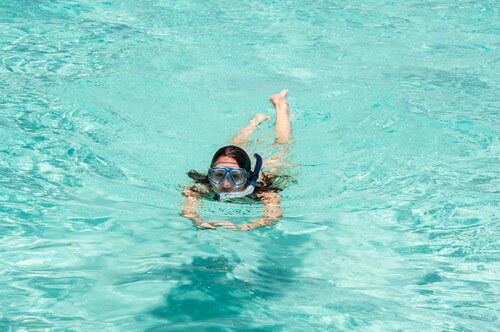 People who have been snorkeling for years are going to find all sorts of new things to see in the spectacular aquatic environment that has made the islands of the Bahamas so famous. Base jumping is another very popular holiday activity in the Bahamas. People can visit Dean’s Blue Hole and try base jumping for themselves when they get to the Bahamas. 2. Sun bathing: Of course, many of the people who go to the Bahamas are just going to be interested in finding a beautiful beach and relaxing. Not everyone wants to have an especially dynamic vacation. The Bahamas is home to some of the most beautiful beach spots in the world, particularly the Cove Atlantis Beach. This is one of the best places for sun bathing that people are ever going to find. 3. Fishing and surfing: There are lots of opportunities for surfing and fishing during a Bahamas vacation as well. People will be able to catch some very exotic fish species, and they’re going to be able to ride the waves in a particularly beautiful place. The Bahamas has a lot to offer even the people who go surfing, fishing, snorkeling, base jumping, and sun bathing all the time. 5. Getting a sense of the wildlife of the Bahamas: The Ardastra Gardens, Zoo and Conservation Centre is a particular great place for families with kids who might be slightly burned out from all of the sightseeing earlier in the day. The entire family can have a great time at the Ardastra Gar dens, Zoo and Conservation Centre. to do in the Bahamas. People who are looking for some indoor activities to break up some of the outdoor activities during their Bahamas vacations might want to absorb a little culture at the National Art Gallery of the Bahamas. 7. 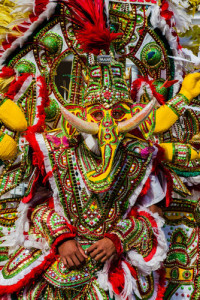 Seeing the Junkanoo Parade: The Junkanoo Parade is one of the most famous festivals in the world. People who time their vacations in the Bahamas correctly are going to be able to have the time of their lives while they’re there, experiencing the dancing, the music, and the costumes of one of the most famous celebrations of the Bahamas. Are you looking to charter a private airplane to the Bahamas? Simply fill out the charter quote request form to the right of this page so that we can send you a personalized charter quote.